"This book is not just for fans of Prince or Purple Rain. It is a great companion to a film that changed music and the film industry. Reading it makes you want to watch Purple Rain with a new set of eyes. One in a series, this book is one to keep and read over again. It had so many great little facts as well as bigger ones, that you won't get them all in the first read through." 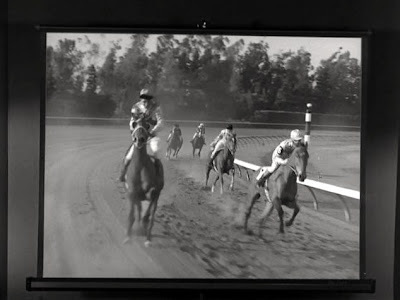 "Muir expounds not only on the behind-the-scenes machinations of the film, but also on how The Kid shares many positive and negative personality traits as Prince himself. Overall, the book is an indispensable book for anyone who is a fan of Prince, his music and his films." 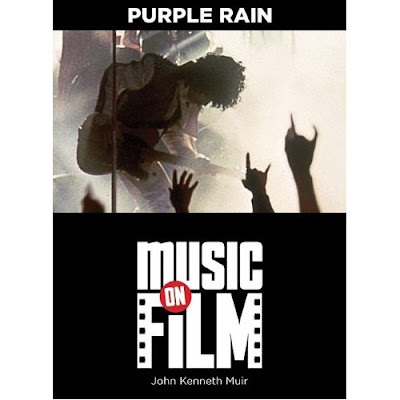 Don't forget, Purple Rain: Music on Film is available at here, at Amazon.com. 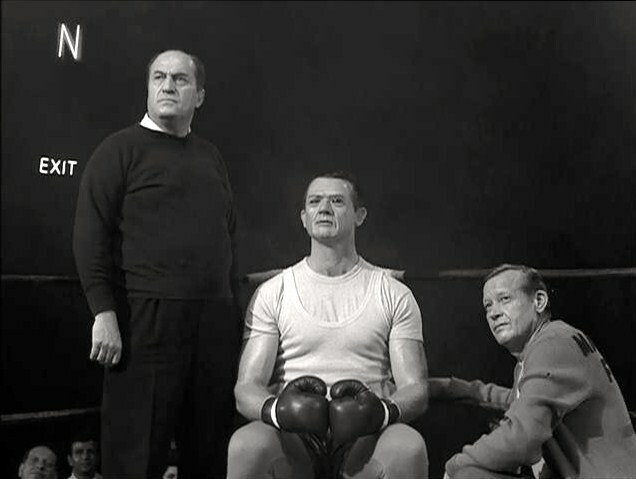 In terms of training and fitness, the universe of Gerry Anderson was much the same. The pilots of S.H.A.D.O. were seen to work-out rigorously in exmples of physical readiness (“Ordeal”) in UFO. 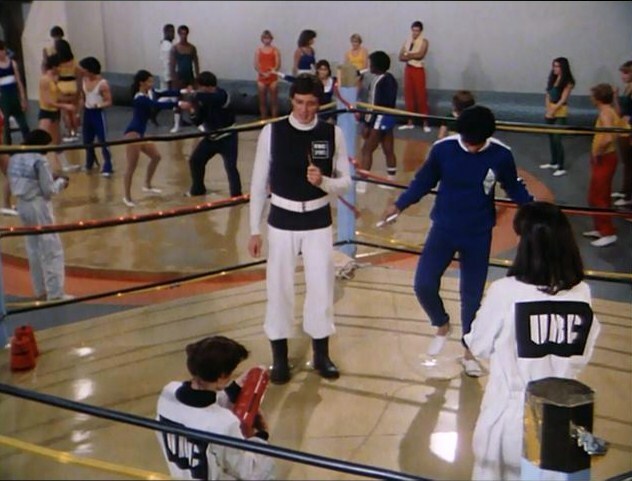 And on Space: 1999’s Moonbase Alpha, a weight room was depicted in one episode (“Testament of Arkadia”) though it was really a light redressing of Commander Koenig’s office. In other programs, alien versions of sports have appeared. 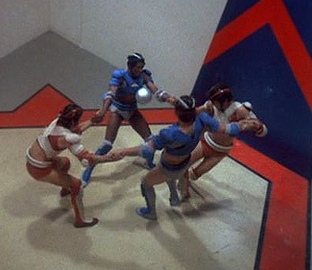 The Colonial Warriors of the original Battlestar Galactica (1978) doubled as athletes, for instance, in a basketball-styled game called Triad that appeared in episodes such as “War of the Gods” and “Murder on the Rising Star.” In the re-made Battlestar Galactica of the last decade, "Triad" became "Pyramid" instead. 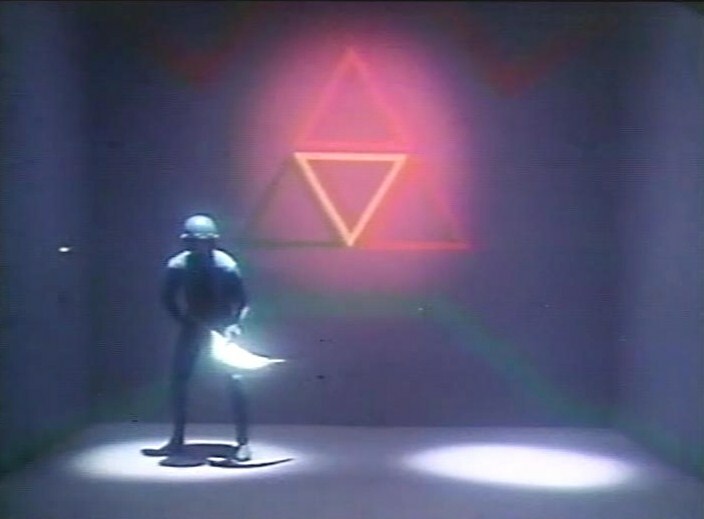 Buck Rogers in the 25th Century (1979 – 1981) likewise revealed a veritable panoply of alien and futuristic sports in the first season episode, “Olympiad.” In truth, this story was a Cold War allegory about an athlete attempting to defect from a repressive alien civilization, a stand-in for our then-rival, the Soviet Union. “Olympiad” aired in 1980, the same year that President Carter oversaw the boycott of the Summer Olympics in Moscow to protest the Soviet invasion of Afghanistan. The Buck Rogers allegory not only spoke of the political climate of the day, it introduced the world to futuristic variations of boxing, the high jump, and even the luge competition. 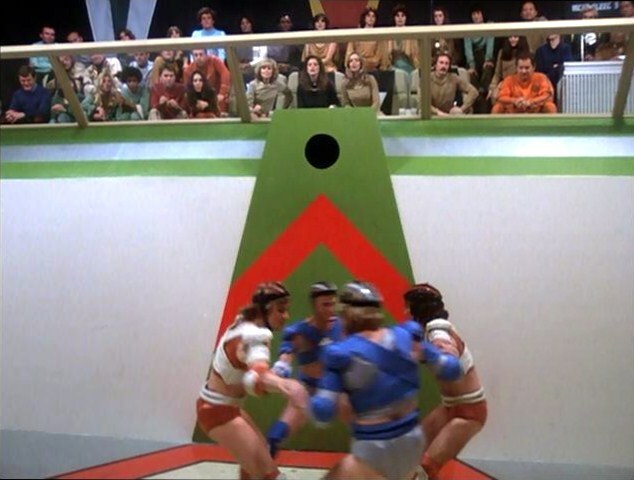 In this case, the luge -- or astro-slalom - was a spaceship navigating a corridor of space force fields! 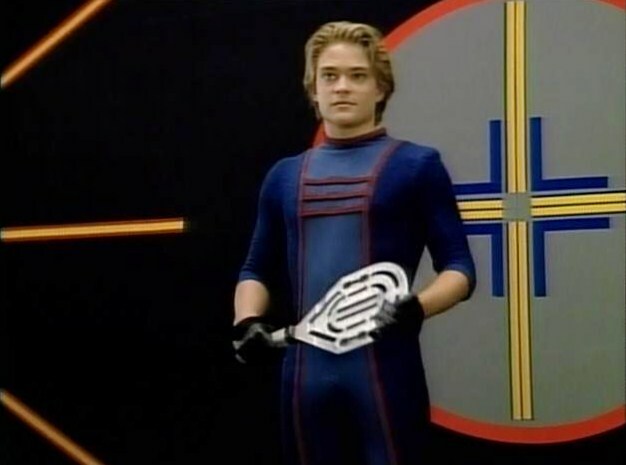 Although the episode dealt with freedom, and a culture that did not value freedom, it also offered hope since all the planets of the galaxy still came together every four years to celebrate the Olympiad. 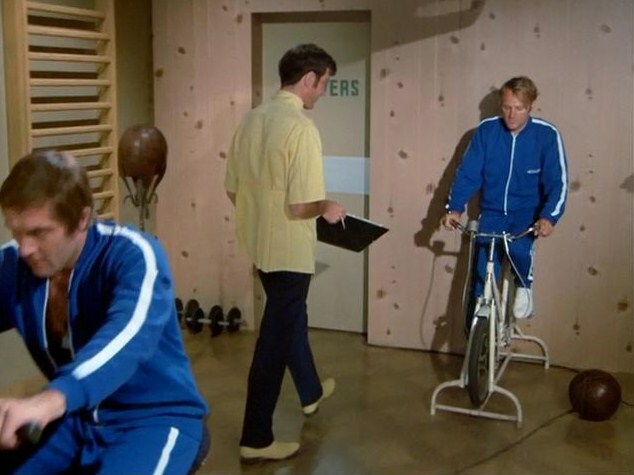 In the more horror-oriented cult-tv programs, sports and fitness have often been entry points into terrifying story possibilities. In Buffy the Vampire Slayer’s second season installment, “Go Fish,” members of the Sunnydale High swim team were (under their coach’s guidance…) inhaling a chemical to improve speed and endurance in the water. However, the substance was actually transforming the boys (including Prison Break's Wentworth Miller...) into reptilian creatures from the black lagoon. Once more, a metaphor was at work under the surface, only here it concerned performance-enhancing steroids and school athletic programs. Smallville’s early episode “Hothead” charted a similar path. When Clark (Tom Welling) joined the football team over his father’s objections, he discovered that the athletes were relaxing in a sauna that utilized the green meteor rocks, or Kryptonite. 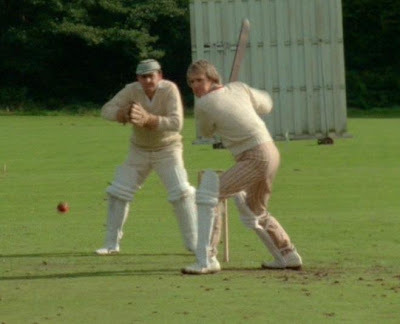 Sometimes instances of sports and fitness on cult television are meant only as informative expressions of a character’s off-duty hobbies or pursuits. Involvements in sports and exercise provide a little sideways peek at familiar characters, in new venues. We saw Fox Mulder play basketball frequently on The X-Files. Captain Picard practiced fencing (“We’ll Always Have Paris”) and rode horses (“Starship Mine,” “Pen Pals”) on Star Trek: The Next Generation, while Commander Koenig seemed to favor Kendo in Space: 1999. Captain Sisko (Avery Brooks) on Deep Space Nine was a Starfleet officer who had made sports an important part of his life. 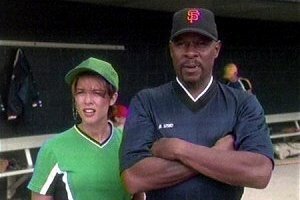 A lifelong fan of baseball, Sisko viewed the sport not just as a hobby...but as a passion and a guiding philosophy. 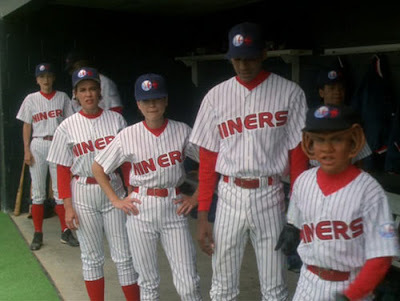 He kept a prized baseball (signed by Buck Bokai of the London King) on his desk outside Ops, and in one episode, "Take Me out the Holosuite," put together a team -- the Niners -- to compete against Captain Solok and a team of Vulcans. 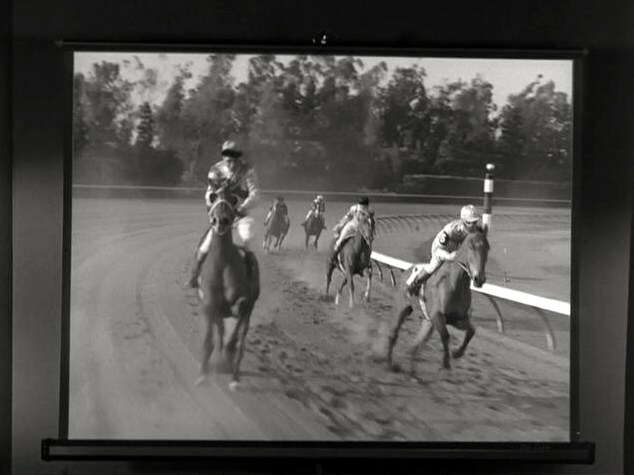 Identified by Brian: One Step Beyond: "Front Runner." Identified by Chris G: The Twilight Zone: "Steel." Identified by Chris G: Star Trek: "Charlie X." Identified by Chris G: The Prisoner: "The Schizoid Man." Identified by SGB: UFO: "Ordeal." 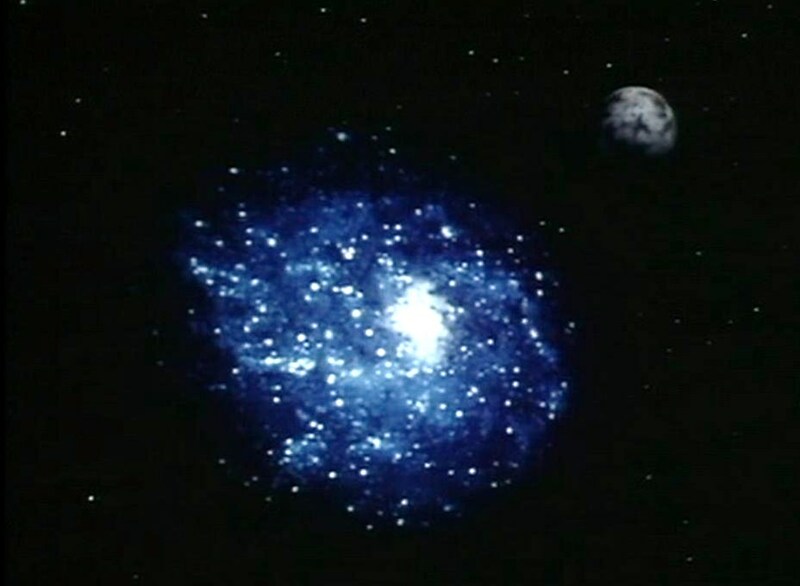 Identified by SGB: Space:1999: "Testament of Arkadia." Identified by Chris G: Battlestar Galactica: "Murder on the Rising Star." Identified by SGB: Buck Rogers: "Olympiad." Identified by Chris G: Doctor Who: "Black Orchid." Identified by Brian: Otherworld (1985): "Paradise Lost." Identified by Randal Graves: Star Trek: The Next Generation: "Suddenly Human." 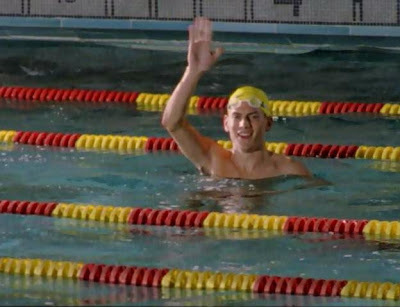 Identified by Randal Graves: Buffy the Vampire Slayer: "Go Fish." Identified by Randal Graves: Deep Space Nine: "Take Me Out to the Holosuite." 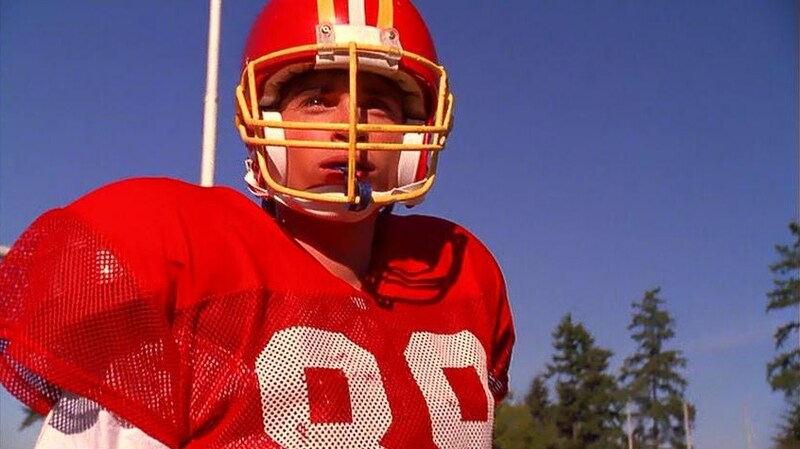 Identified by Chris G: Smallville: "Hothead." "All we basically say in any fantasy film is that good triumphs over evil and there's hope for the future. And I think that's basically what we need because there have been too many people saying there's no hope for the future and you should look down in the garbage can rather than up in the sky." - Ray Harryhausen discusses his fantasy films in an interview for Starlog # 10, December 1977, by Richard Meyers, page 56. 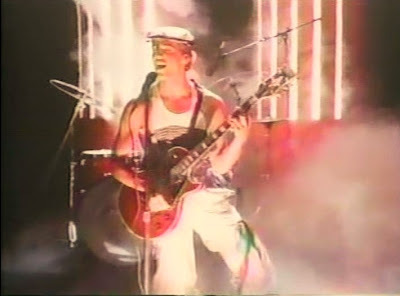 “Rock and Roll Suicide” may not be the absolute best ever episode of the short-lived Roderick Taylor series, Otherworld (1985), but it sure as hell is the most fun. In this amusing and satirical tale, the Sterlings have taken up residence in Centrex, a large province with a population of approximately five million. 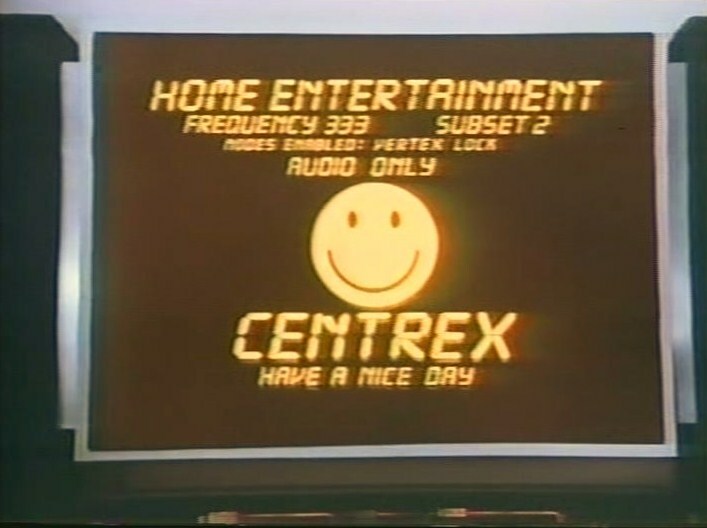 Centrex is a buttoned down, boring town, at least until Trace (Tony O'Dell) and Gina (Jonna Lee) introduce the province’s teenage inhabitants to rock-and-roll music. So yes, this is, essentially, Footloose (1984) only done as a cult-tv, science-fiction story. The conservative Church of Artificial Intelligence almost immediately protests the “sinful” music, and its leader, Baxter Dromo (Michael Ensign) sets out to destroy Trace and Gina, going so far as to burn their albums. Even this opposition from the establishment, however, cannot prevent Trace and Gina from becoming a pop culture sensation in Centrex, one replete with its own merchandising blitz. Hal (Sam Groom) worries that his kids are drawing too much attention to themselves, but when the Church crosses the line from censorship to violence, he realizes the battle being waged here is not about music, but “free speech." Unfortunately, the Praetor sends Commander Kroll (Jonathan Banks) to Centrex, thus ending the promising rock careers of the Sterling kids once and for all. With the help of Trace and Gina's agent, Billy Sunshine (Michael Callan), the Sterlings escape Centrex. 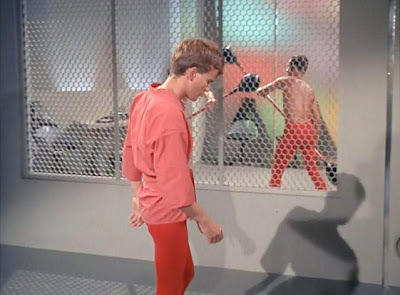 “Rock and Roll Suicide” is such a terrific episode of Otherworld (and sci-fi tv, to boot), because in just barely forty-five minutes it tells the whole, glorious, multi-decade story of rock-and-roll in America. That story begins with relatively innocuous music, by today’s standards. We see this epoch of history embodied in Gina and Trace’s performances of The Beatles’ “I Wanna Hold Your Hand.” But before the long, as the episode progresses, the costumes, haircuts and music all grow more flamboyant and edgy, drifting into the then-contemporary era of 80s punk, pop and hair metal. All the while, of course, the “establishment,” embodied by the Church of Artificial Intelligence fears the growing rock movement. The form seems to encourage youngsters to "express themselves," for one thing. And in one especially amusing scene, the leader of the church, Dromo, listens to a Trace and Gina song backwards, and becomes he’s convinced he’s hearing subliminal, evil messages. In particular, he hears the word “inter-dimensional,” he thinks. 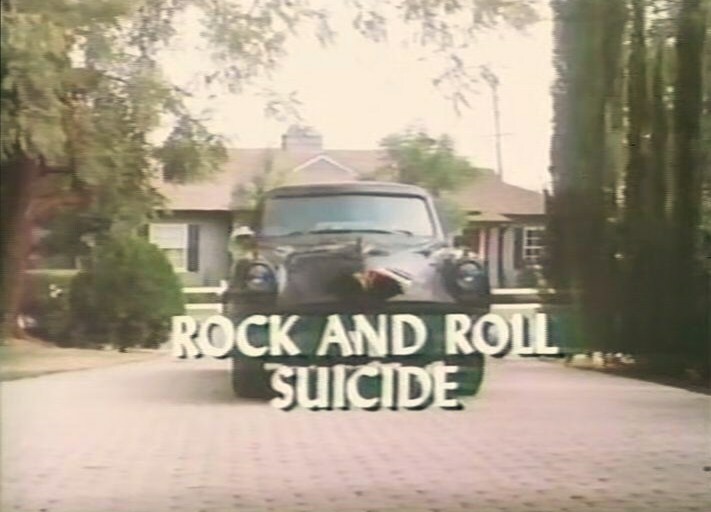 “Rock and Roll Suicide” also showcases, amusingly, the marketing blitzkrieg that can surround a musical phenomenon. Here, we see Trace and Gina dolls (that look surprisingly authentic in terms of 1980s toys), but if you lived through the 1970s as a kid, you remember Sonny and Cher dolls, Donnie and Marie dolls, and KISS dolls too. In a consumer culture, a band ultimately becomes a commodity, as we see here. Another interesting subplot in this episode by Roderick Taylor and Bruce A. Taylor involves Trace’s new girlfriend. He realizes all too quickly that she’s only into him for the fame and the money, not because she likes him. So this episode meditates on the pitfalls of fame as well as the “guitar hero” aspects of being a rock star. Once you're famous, you can never be sure that a person loves you for you, and not for the girth of your...wallet. 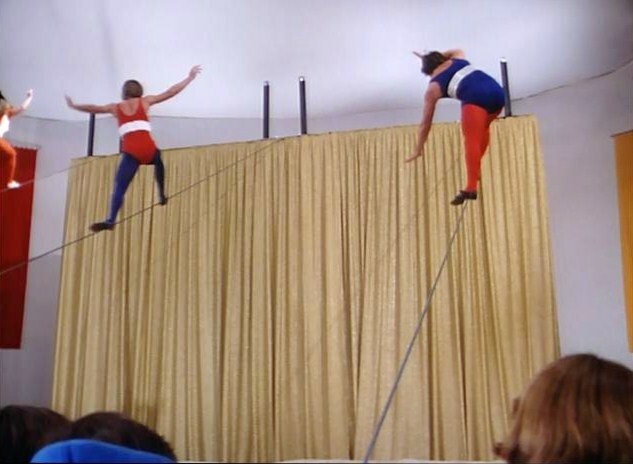 Even the final shot of "Rock and Roll Suicide" is a wondrous and funny put-on. Trace and Gina, together in concert, are superimposed and immortalized over a panoply of night stars. Yes, they are as timeless as the constellations themselves. I love it. It's a wonderful jab at music fans who consider their ephemeral favorites the greatest thing on Earth. Taken in toto, “Rock and Roll Suicide” is a pretty great rock-and-roll fantasy, but what makes the episode so intriguing after all these decades is what it says about rock’s place in our culture. “There’s something about these lyrics that hate authority!” the Church Leader complains, and in real life, we’ve all heard the same (stupid) argument for decades. Why is it that every older generation must hate the younger generation’s music? And not only hate it, but try to actively destroy it? We’ve seen this bad impulse in every era for decades, and Otherworld reminds us that, as parents, we don’t always give the younger generation the same leeway we wish we had been given by our folks. Lesson to be learned…in Otherworld. 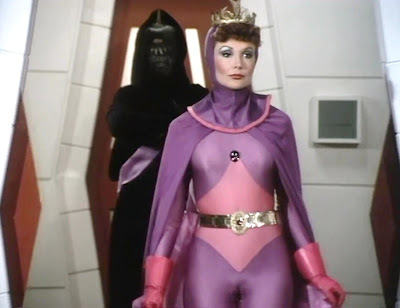 In Jason of Star Command’s “Mimi’s Secret,” Jason (Craig Littler), Samantha (Tamara Dobson), Professor Parsafoot (Charlie Dell) and young Heidi (Heather Connell) escape an attack by Dragos’ (Sid Haig) drones, and then return to Star Command. Once there, they meet with Queen Medusa (Francine York), who, under a flag of truce, promises to exchange Heidi’s missing father for her doll, Mimi. By this point, Parsafoot has realized that “Mimi” is actually a codename for M1M1, an acronym which pinpoints the location (planet M1) of a secret “guardsman” mineral vein. 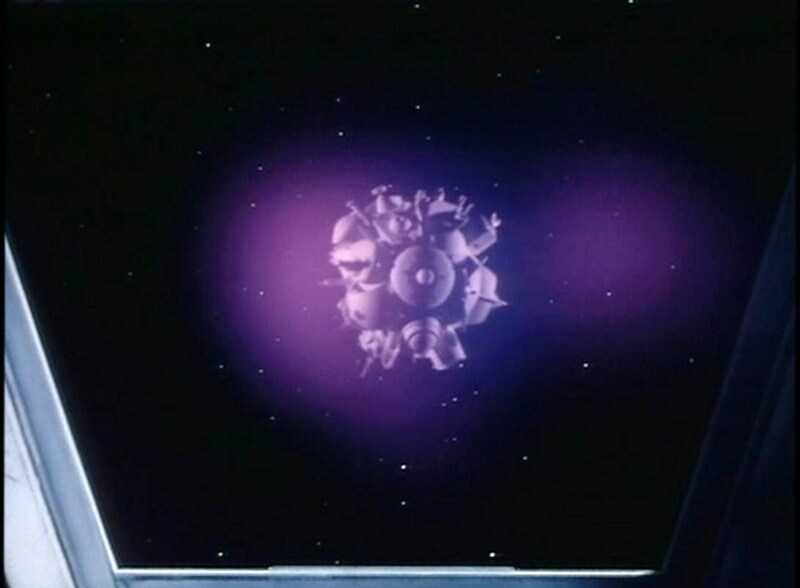 The valuable material is used throughout the galaxy as a power source, and Dragos would find it incredibly valuable. Meanwhile, Heidi stows away on Medusa’s ship. 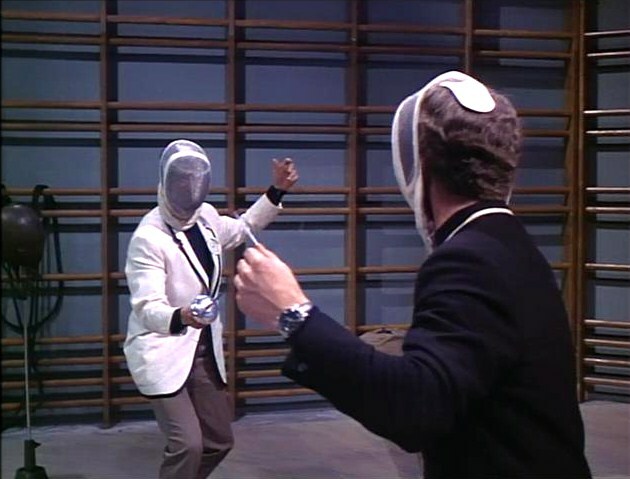 Another point of interest is the episode’s brief commentary on prejudice based on skin color. Young Heidi asks Commander Stone (John Russell) why his skin is blue, and he responds with a comment about not judging people by color, because color doesn’t reveal their true selves. It’s a brief moment, but a good one that feels, perhaps more in keeping with Space Academy (1977). In terms of production values, “Mimi’s Secret” is a noticeably weak episode. M1 is represented by the same studio planet set we’ve seen a dozen times this season. Worse, the interior of Medusa’s ship is just a re-dressed Seeker/Star Fire interior, with the seats white instead of red. Kind of a disappointment, and it’s one of the few instances in the series where the miniature work doesn’t match a live-action interior. No monsters or stop-motion aliens this week, but “Mimi’s Secret” opens with a pitched space battle between Dragos’ drones and Jason’s Star-fire. Jason defeats the enemy fighters by tapping into their control panels and jamming their “control frequencies.” It sounds a little like what Admiral Kirk did to Khan aboard the Reliant a few years later in Star Trek II: The Wrath of Khan. As far as Mimi (and her secret…) go, it turns out the doll is hiding information about the important power source, but the episode never really explains how she lives. In this segment, Mimi even shoots laser beams out of her eyes. But, unlike many of her cult-tv brethren, she’s not an evil doll, just a living one. 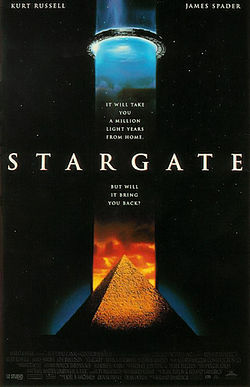 Roland Emmerich’s Stargate (1994) is the movie that launched a thousand ships, or at least several hundred episodes of popular cult television. As the initiator of the durable (though now dormant…) Stargate franchise, the film sets up a universe that, broadly-speaking, is based on the once-popular Von Daniken Chariots of the Gods (1968) notion that “God” is an ancient astronaut…an alien. I remember when I first screened Stargate in the theater in October of 1994. 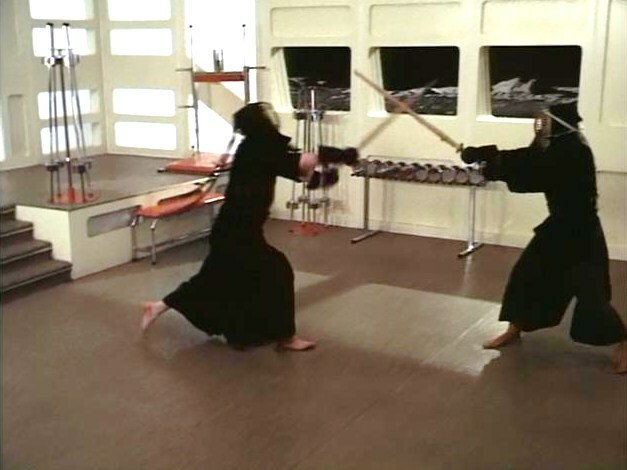 There was much talk that it was “the next Star Wars.” That kind of chatter proved to be hyperbole, and yet Stargate is a film that, somehow – and indeed a lot like Star Wars – is much more than the sum of its individual parts. The heroic theme music by David Arnold, the knowing performances from Russell and Spader, and the film’s strong action chops combine with the intriguing Von Daniken presence to render a film experience much more buoyant and enjoyable than it surely could have been. But by the time the first hour is over, Ra arrives and the film picks up again. Emmerich makes the most of the film’s unseen menace at this juncture. In particular, he shoots an underground siege absolutely perfectly by utilizing P.O.V. shots. Members of O’Neil’s team are picked off one at a time, and we don’t see the hunters. Instead, the camera creeps up on the unsuspecting soldiers, and then the film cuts to their bodies being dragged off-screen by unseen creatures. It’s almost as though we’ve shifted gears into a horror movie, and the grunting, inhuman sound effects of Ra’s soldiers augment the idea of a terrifying, unknown presence. Even the final, momentous reveal of these minions remains quite powerful. Looking at these glowing eyes, metal-headed soldiers, it’s easy to see how man could misinterpret them to be Gods. When Ra is finally introduced, he isn’t at all what we expect. But in an action film, that kind of surprise can be a good thing, indeed. We expect a seven-foot tall monster -- a Darth Vader, perhaps -- and are instead presented with a wispy, lithe, uncomfortable presence in Jaye Davidson. Ra lives inside a human form, so it’s appropriate that we feel ambivalent about his appearance. We don’t know how to process him, at least not initially. Is he male? Female? Some strange combination of both? Impressively, Jaye Davidson conveys a sense of both uncomfortable beauty and absolute malevolence at the same time. He may look beautiful on the surface, but his eyes and movements pulsate with a brand of wickedness that suggests the alien’s true nature. Action films made today depend a great deal on quick cutting and herky-jerky, hand-held camera moves to transmit a sense of urgency. However, the nearly twenty-year old Stargate plays as refreshingly retro during its accomplished action scenes. The film builds a sense of pace and immediacy through cross-cutting, first between two opposing scenes, and then, finally, between three. The approach generates a strong sense of momentum leading into the climax, and it’s carefully-wrought. It helps too, no doubt, to have the muscular, steely-eyed Russell fronting an action scene. No one in the film is made out to be a superhero, and there’s something refreshingly human and tenacious about the way Colonel O’Neil just dukes it out, punch-after-punch, with Ra’s muscle-bound minion. I admire this scene because it doesn’t rely on special effects (except for the macabre punctuation…) or even wild (but improbable) stunts. Instead, it’s just an old-fashioned slug-fest. What's the fear of parasites? In short, it's the idea that our bodies can be used and abused by an intelligence not our own; that our bodies could be viewed as a resource or even food by some other creature. Many of the creatures on this list assume control of our physical selves, and replace our intelligence with theirs. Others see us, alarmingly, as just meat. Here, a flock of adorable dodos waddle through one of the series' colorful time anomalies into modern England, but a few of these extinct, flightless birds are carrying a parasite that can temporarily seize control of the host and act aggressively to assure reproduction. One of Connor's (Andrew-Lee Potts) friends, Tom (Jake Curran), is infected with the organism after a dodo bite on his arm. He soon suffers debilitating headaches, massive pain and increased paranoia as the worm inside him...grows. 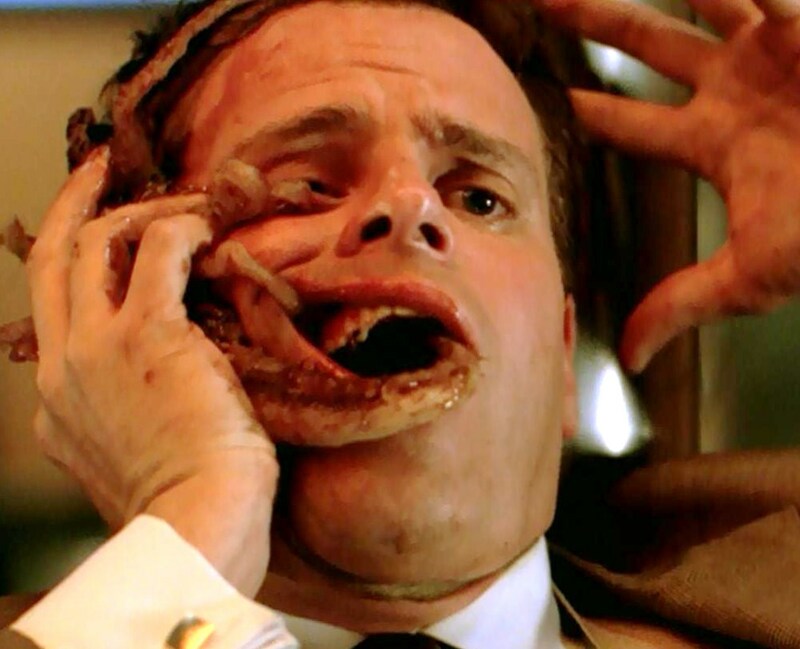 At one point in the episode, we see a high-resolution scan of Tom's skull, and this large, lively worm wriggling about inside it. 5. "Conspiracy.” In “Conspiracy,” a late first season episode of Star Trek: The Next Generation, Captain Picard (Patrick Stewart) is warned by a friend, Captain Walker (Jonathan Farwell) that some kind of sinister agenda is afoot in Starfleet Command. I must admit, I absolutely love this episode of Star Trek: The Next Generation. It has a more sinister, diabolical vibe than most episodes. 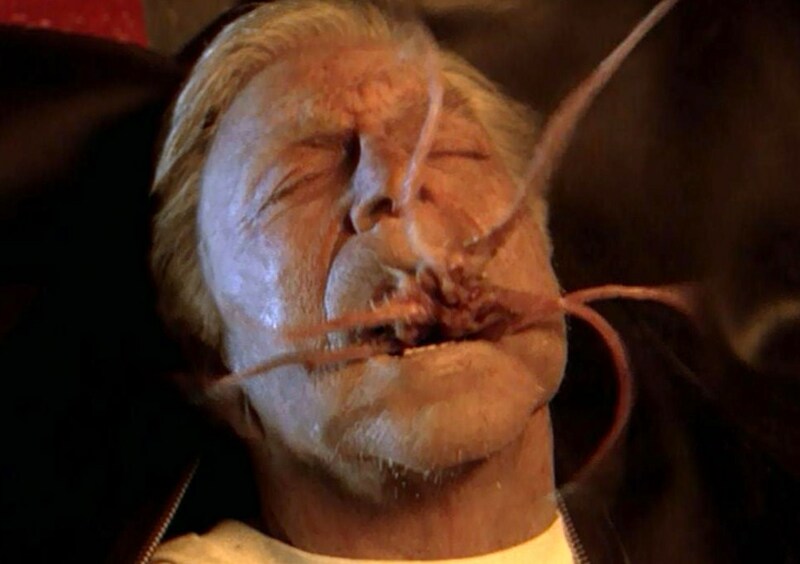 In fact, it’s downright scary at times, especially the unresolved ending, which suggests the parasites could return one day, and have sent a message to their brethren out in space. I also love the visual of Picard and Riker frying the alien mother organism with their phasers. So much for respect and tolerance for all alien life forms! I've always found it ironic that Gene Roddenberry so vociferously complained about Admiral Kirk's treatment of another parasite, the Ceti Eel in The Wrath of Khan (1982) -- how dare he shoot it! it's a life-form -- but then Picard and Riker reacted exactly the same way in this TNG episode, with revulsion and phasers firing. The Ganglions enter the human head through either the nose, ear or mouth, and the assimilation process is slow and incredibly painful. First, possession by the parasite causes a nervous breakdown, but eventually the host mind is erased completely, and the Ganglion is in total control of his human steed. 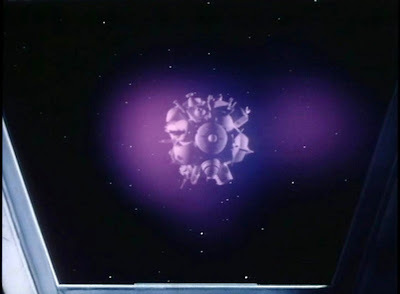 We learn in the course of the series that the Ganglions took over the Greys' planet, much in the same way that they intend to take over the human race. These committed cult members attempt to get the worm inside Scully – who is pregnant at this point – by allowing it to burrow underneath her flesh, inside her back. This episode successfully gets under your skin too, by forging an atmosphere of extreme isolation and vulnerability. In The X-Files, we are used to Mulder always having Scully’s back during a crisis. But here, Mulder is gone, abducted by aliens, and we don’t quite trust Agent Doggett (Robert Patrick) yet. Here, Scully is the most alone we’ve ever seen her, in real physical danger, contending with villains who can't be reasoned with. And she faces, clearly, a fate worse than death with that wriggling, monstrous worm in her back. In a truly upsetting scene, Scully is tied to a bed on her stomach, as the creature makes its subcutaneous approach. 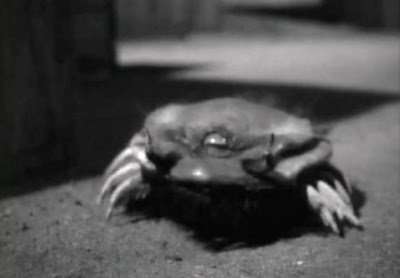 A group of vocal folks like to complain about the last two, largely Mulder-less years of The X-Files, but episodes such as “Roadrunners” certainly prove the series was effective as ever in generating authentic, deep-down scares. I also appreciate the conceit that this particular parasite is never explained. We don't know what it is, where it came from, or why it is here. Creepy. 1. Earwig. We never actually see the parasite in the classic episode of Rod Serling's Night Gallery entitled "The Caterpillar," but we certainly learn all about it. Here, a nasty civil servant, Stephen Macy (Laurence Harvey) covets a co-worker's wife (Joanna Pettet) and attempts to off her husband with a parasite called an earwig. 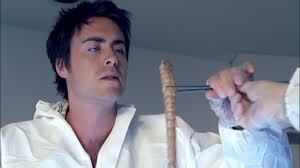 The murder scheme goes horribly wrong, however, when Stephen himself is exposed to the wee bug. By some miracle, Macy survives the ordeal, which he describes as an “agonizing, driving, itching pain,” and the earwig exits his ear. Unfortunately, those two weeks are only the beginning of Hell for Mr. Macy. He learns that the earwig was female and laid eggs inside his brain. 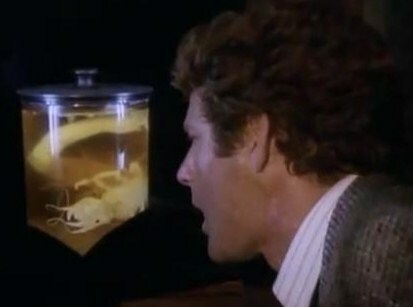 The larvae will hatch soon, and find a ready source of food: his brain, Despite its lack of overt horrific visuals, "The Caterpillar" proves utterly disgusting and macabre in its suggestion of a fate worse than death: a perpetual itch you just can’t scratch. Supernatural Promo: "My Heart Will Go On"